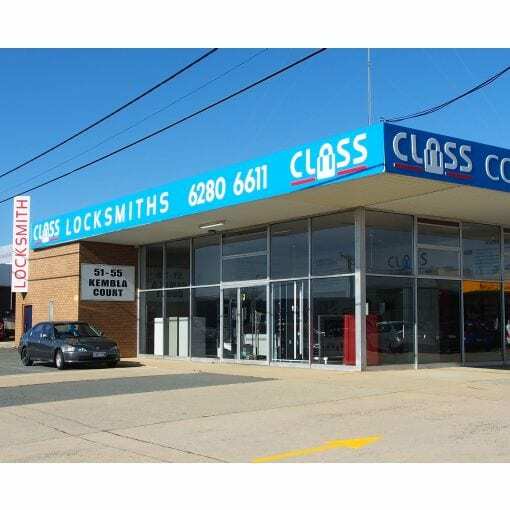 Contact CLASS Locksmiths – drop in to our premises or call (02) 6280 6611 – and talk to one of our locksmiths or security consultants or arrange for a free no obligation 6 point security check on site. When you request a CLASS locksmith to come to your home or premises or site (service call), the only person you usually see is the locksmith or security consultant – although there is a whole team involved in making that service call happen. The knowledge, skill, training and qualifications of the individual locksmith or security consultant. The “team of people” behind the scenes such as telephone operators, service coordinators, locksmith specialists, security industry experts, training specialists, spare parts and stock control personnel, clerks and administrators. Our investment in workshops, equipment, vehicles, tools, security products, key blanks, locks and replacement parts. The CLASS locksmith/security consultant has undertaken a four year apprenticeship,specialised locksmith training, formal security consultant study and qualifications, along with extensive experience to be able to diagnose and complete the job quickly to save you money. Investment in inventory – security products, key blanks, locks, replacement parts.